Barbiturates effects are widespread. Similar to other CNS depressants, they make your brain and body functions slower. Most notably, they are so powerful that it may not take more than just a few doses to change the sedation into death. Barbiturates are a class of sedative medications. They affect the levels of a brain chemical. They call it Gamma Aminobutyric Acid (GABA). Consequently, taking them makes you less stressed and more likely to fall asleep. You need a doctor’s prescription to buy them. Till a few decades back, they used to prescribe it to treat a number of medical conditions. In some cases, they might include insomnia, anxiety, and epilepsy. However, their use in the current medical practice has declined a lot. It is because they are very addictive and cause severe toxicities. Regrettably, this may occur even if you take a bit more than the normal dose. What is the Current Status Of Barbiturates? Currently, safer options such as Benzos have mostly replaced them. Nonetheless, doctors still use them during a major surgery and to reduce seizures. Furthermore, they may also use them to reduce increased pressure inside the head. Such conditions may arise when you have a brain injury due to some accidents or falls. When you take a Barbiturate, you feel a kind of high. It produces euphoria and relaxed feelings and helps you calm down. For this reason, they bring desirable results when you have seizures or anxiety. Unfortunately, these are the same reasons why they may abuse it and become addicted to barbiturates. A recent study suggests their use among high school students has surged over the past decade. People have a theory about the most probable underlying cause for such alarming rise. In some cases, they take them to counteract the effects of stimulant medications. Strangely enough, the effects are similar to those produced due to alcohol intoxication. This is because barbiturates effects include depressing the activity of CNS. For this reason, you should never mix barbiturates with alcohol. These effects will go away if you stop taking more of it. What will determine how long these effects will persist? In fact, they will depend on the type of Barbiturates you have taken. A common problem with any form of addiction is the addicts fail to sense how much is too much. Regrettably, this impaired judgment often results in overdoses or development of severe symptoms. In the same manner, Barbiturates effects become more dangerous as you take more of it. To make things worse, there is a very thin line between the effective and toxic dose. What are Toxic Barbiturates Effects? Barbiturates have a very low safety margin. That way, it can cause severe toxicities even with a slightly increased dose. At higher doses, they also block the activity of a major brain chemical. They call it Glutamate. Paradoxically, they have a dual action. They will increase the GABA activity and cut down on Glutamate activity. As a result, this may cause death. This is more probable if you do not get an immediate medical care. Actually, the fatal results occur as an exaggeration of the sedative effects. What are Long-term Barbiturates Effects? The long-term use of Barbiturates may result in a number of other health problems. This is apart from an increased risk of addiction. Barbiturates are not a very safe medication even a normal doses. Now, you can imagine what could be the consequences of an abuse or barbiturates overdose. Combining it them with alcohol or any other CNS depressant can result in a likely fatal sedation. 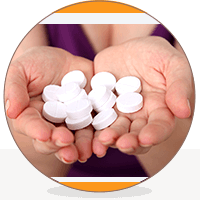 Has a doctor recommended any of the Barbiturates for you or any anyone you love? If they did, ask them if there are any alternative to it. In addition, make sure you listen to their advice very carefully. Barbiturates can be very addictive. Notably, the addiction may develop with a normal dose too. Therefore, watch for the physical and psychological signs of addiction. Then, consult your doctor right away. Regular use may result in tolerance. That is when you need more of it to get high. This is can be fatal considering the deaths overdoses have caused. Did you know that Barbiturates account for about 33% of all drug-related deaths in the US? There are so many things you can do to get out of the addiction. Remember, the road to recovery starts with you. Therefore, do not think anymore, take the first step and good changes will usually follow. Seek professional help as your solo efforts may not be enough to defeat your urges. Addiction is a chronic disorder that requires a team effort. You will need to get it from family, friends and concerned healthcare staffs. A combination of medications and a strong support system often works wonders. Presumably, they will help you live a drug-free life. Addiction centers should have a qualified team. Some of them more than others. They will dedicate themselves to provide you all kinds of necessary services. They will help you get back to normal life from these Barbiturates withdrawal effects. The team comprises of well trained and qualified personnel. They include physicians, counselors, psychologists, psychiatrists and auxiliary health care staff. Notably, they all work together to design addiction treatment plans. These will be specific to your personal needs. Are you or anyone in your family fighting against the Barbiturates effects? Talk to the experts near you. For help, click here for more.